Sarah E. Kemp, Consultant and formerly Head of Global Sensory and Consumer Guidance, Cadbury Schweppes, UK. Joanne Hort, Professor, Massey Institute of Food Science and Technology, Massey University, New Zealand. 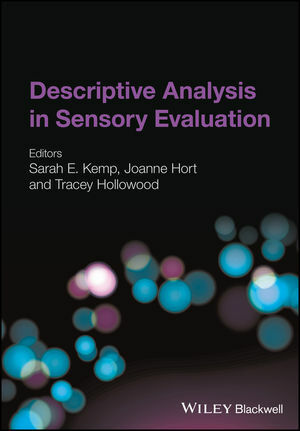 Tracey Hollowood, Managing Director, Sensory Dimensions Ltd, Nottingham, UK.